Today on the Fit Stop Blog I would like to discuss one of the most painful conditions that I see regularly – the dreaded, miserable, absolutely debilitating – frozen shoulder (FS), (AKA adhesive capsulitis). Now, FS is truly a painful son of a gun. Growing up as the son of a physical therapist, I used to observe my father from time to time in the clinic. I remember watching him work with these poor patients who had FS, and they would be in tears from the stretching. I used to think to myself, well, that doesn’t look like a whole lot of fun, for either patient or therapist! 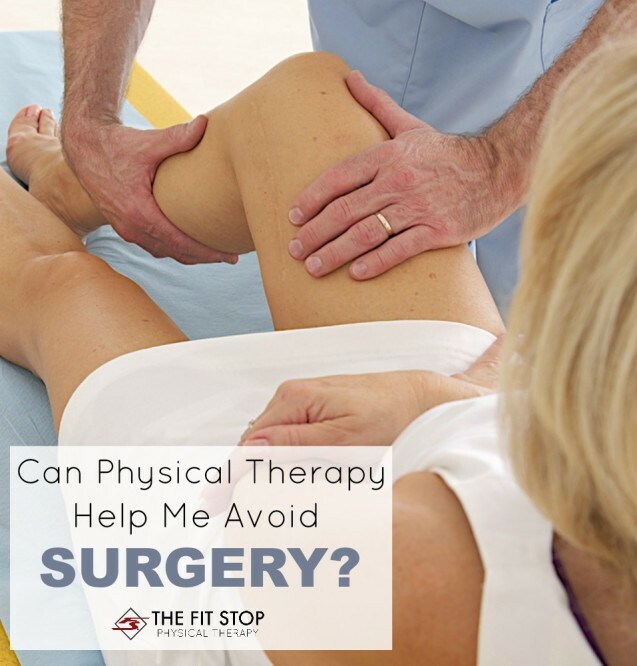 I wondered if the field of PT was really for me after observing some of those treatments. Well, fast forward a few years later, and here I am blogging about this all-too-common condition. FS is a very interesting condition, and actually not very well understood. Today, I will discuss what it is, and why we think certain people actually get it. There are many different facets of the physical therapy profession. Most of the time when we think “physical therapy” we primarily think of sprains, strains, post-surgery, and sports rehab. But did you know that’s only a very small part of what physical therapists do? Many work in hospitals (inpatient settings) to help people recovering from an illness, accident, or surgery. Others work in neurological settings and help those who have experienced a brain or spinal cord injury. Still more, other physical therapists work in a “Home Care” or “Home Health” setting – they come to the homes of those patients who are “homebound” or unable to come to physical therapy without assistance. 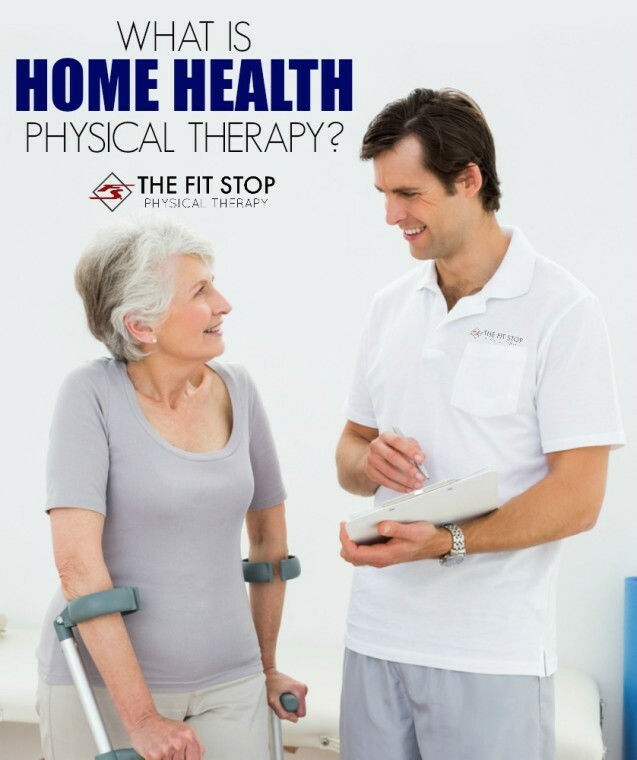 But did you know that Fit Stop actually employs a home health PT? 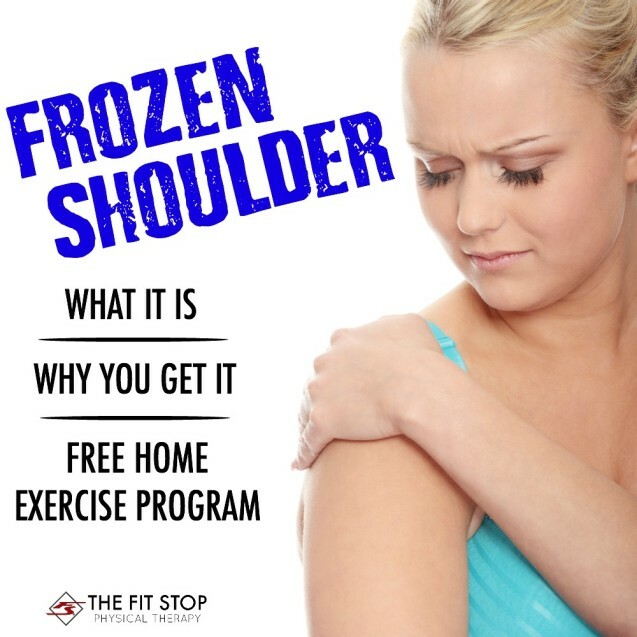 Here to tell us more about it today on the Fit Stop Blog is our home care specialist, Tyler Bluth, PT, MPT. Keep reading to learn more! 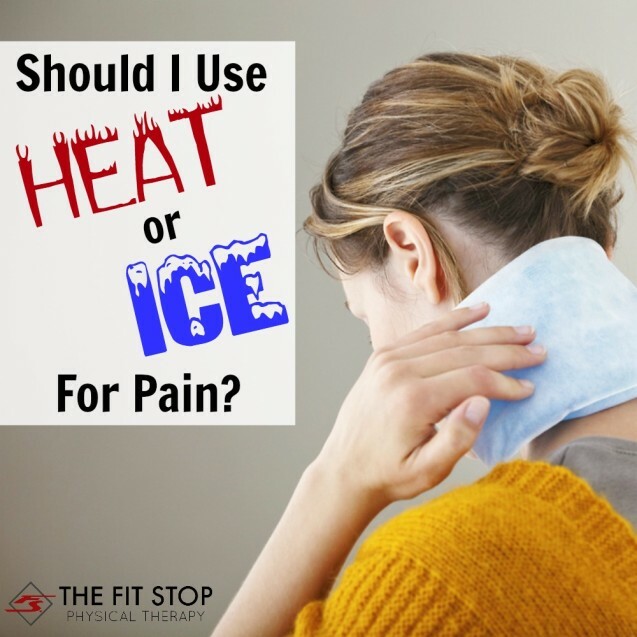 Heat Or Ice For Pain? Be sure to follow Fit Stop on Facebook to stay caught up on all our health advice and tips! Should I put heat or ice on my injury? We’ve all heard that you’re supposed to put ice on an injury. We’ve all heard that heat can help, too. But which one is it? And how do you know? As physical therapists, this is a question that we answer all day long from our patients, so today we wanted to share this knowledge with you! One of our sports injury experts, Jared Beckstrand, PT, DPT is here to answer your questions about the implications for heat vs ice when it comes to injury management. Keep reading for more! Four keys to maximize your physical therapy visits to recover faster and more completely! For over six years now, I have been practicing physical therapy (PT) at the Fit Stop in our Heber City location. I love my job. I think that we as physical therapists have one of the most important and gratifying jobs out there. We are able to play a pivotal role in decreasing pain and improving our patient’s function and quality of life in a very safe and non-invasive way. One of the best aspects of my job is being able to see my patients get better. The majority of musculoskeletal injuries out there respond very well to PT treatment. However, sometimes it doesn’t quite work out that way. Sometimes, a patient does not improve as much as he/she hoped. This can be very frustrating for both therapist and patient, especially since nowadays the cost for care is generally quite expensive for the patient. Most patients have significant deductibles that need to be paid off before their insurance will even pay a dime for the PT. Then, even after the deductible is met, ever increasing co-pays can deter a patient from even seeking care in the first place. Considering these factors alone, it is understandable that a patient could get discouraged if progress with PT is not perceived to be meeting expectations. 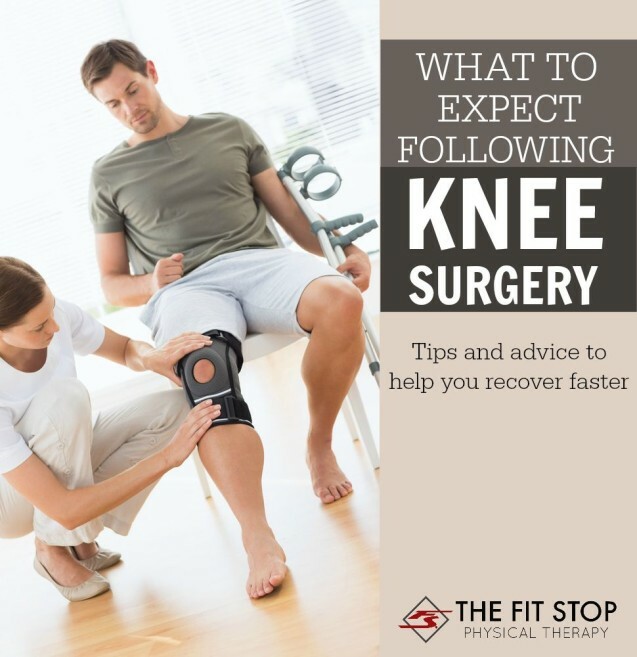 Be sure to follow The Fit Stop on Facebook for all your health and rehab needs! 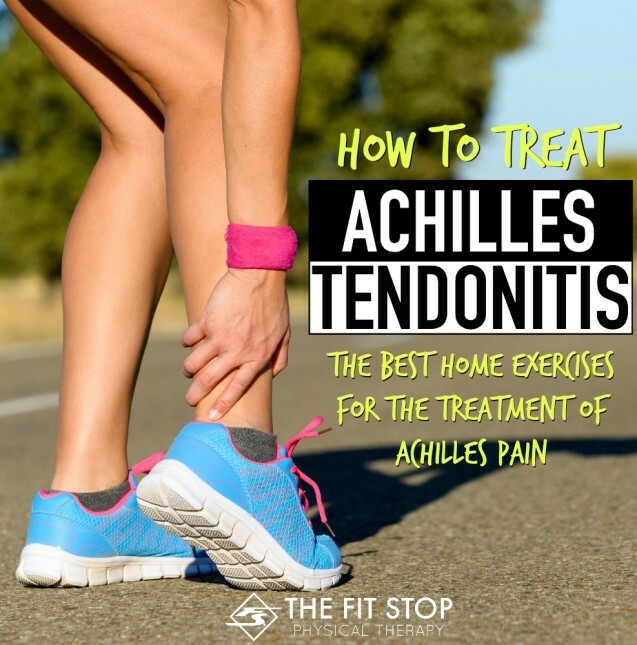 Achilles Tendonitis (AT) is a relatively common pain in the Achilles tendon, the major tendon that connects the heel bone to the calf muscles. As with any term that contains the suffix “itis”, AT indicates inflammation of the Achilles tendon. This condition can affect anybody, but is most common in active populations (runners) who have experienced some sort of increase in training intensity or duration. It has been reported that 50% of runners will experience AT at some point in their life. Repetitively pushing off from the ball of the foot over miles of training can definitely cause some pain and inflammation. If you’ve been running or playing extra hard lately, have a pain in the heel or lower calf area that has been lingering for more that a few days, and is quite tender when pushed on, you probably have the dreaded AT. So, what now? Well, you are in luck, because today on the Fit Stop blog Toby Bluth, PT, DPT is breaking down Achilles tendonitis: what it is, why you get it, and steps you can take to help it to feel better! Keep reading for more! At some point in life, your neck will likely cause you pain. Neck pain is right up there with pain related to the low back as far as how common it is. According to some sources, the burden placed on the economy because of neck pain, is second only to low back pain. In fact as many as 54% of individuals have experienced some neck pain in the past 6 months. Once this neck pain comes, it is very likely to stay for a long time and to come back again after it has initially resolved. So you can see that neck pain truly is a pain in the neck for a lot of people (including myself). My job as a physical therapist is a physically active job, requiring physical exertion at times that puts a bit of stress on my upper back and neck. By the end of my work week, I go home with a pretty tired, and sometimes outright painful neck. So what is the deal? What is typically causing our neck pain and why is it so common after all? None of us want it. Many of us need it. A lot of us eventually break down and get it.